Benefit Substantially from a Solid, Well-orchestrated Wellness System for your Medicare population. Hospital systems can benefit substantially from a solid, well-orchestrated wellness system within their Medicare population. 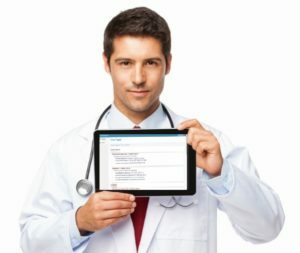 If you have ambulatory physicians either within or attached to your hospital, your physicians’ revenue can increase dramatically by deploying the WellTrackONE wellness system. Additionally, the utilization of your specialists and lab / imaging facilities can increase along with the wellness visits as your physicians refer out their acute patients and order diagnostic tests to pinpoint illnesses. You will also see a reduction in the admission rates of chronic care patients. Under the WellTrackONE model, PCPs are given all the information and risk stratification data on their patients so they can provide care for that population of patients, thereby helping to keep those patients out out of the hospital. And your readmission rates will drop dramatically since you are handling less chronic care cases. This will help you avoid penalties and costs related to readmissions. WellTrackONE also makes it easy to capture your Clinical Indicators. By linking the in-depth WellTrackONE data to your hospital’s claims, PBM and lab data (by using a master patient index), WellTrackONE can provide you with 100% of your clinical indicator values, including patient satisfaction results. No more assigning costly personnel to the chart rooms and pulling charts for hours on end! Now, at the touch of a button, your management team can derive the Clinical Indicators they need quickly and in a context that is useful to them. Additionally, our data-rich wellness records offer hospital systems a powerful risk adjustment capability for their patients. There is no cost to deploy WellTrackONE within your hospital system. You will be rewarded with a solid and sustainable wellness program that energizes your primary care physicians, makes your patients feel “special” and produces solid results and solid revenue.